There are multiple public parking lots and garages in the surrounding area. Drunken Fish features live DJ Entertainment Fridays, Saturdays, & Game Days with St. Louis' hottest DJs. Join us for our late night Happy Hour! We have a private room that holds up to 12 people for your game day party, bachelorette party, and any other special occasion. For larger parties, check out our Laclede's Landing location for exclusive private rooms. We can cater your corporate events, birthday gatherings, rehearsal dinners, etc. Drunken Fish in Ballpark Village is the perfect place to enjoy a paramount dining experience. 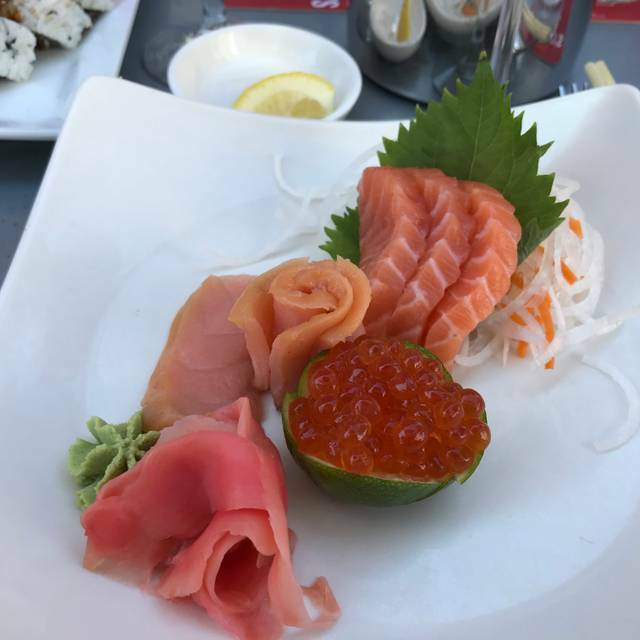 Unlike anything you've ever experienced, the selection of sensational sushi and exquisite Japanese cuisine will satisfy every appetite, while our extensive drink menu boasts an eclectic list of signature martinis and exotic drinks. 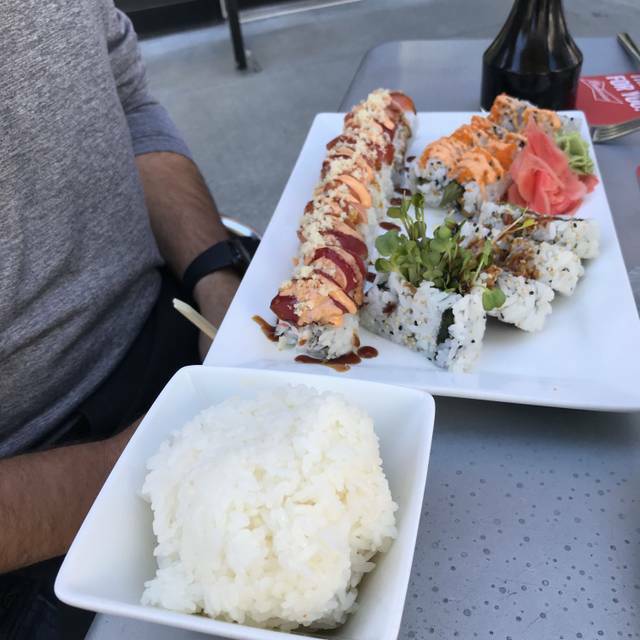 With vibrant modern décor, ample booth seating, a private dining room, and Ballpark Village’s only glowing LED tables, Drunken Fish creates a plush and comfortable setting to grab dinner and drinks with your significant other or a group of friends. Large front doors create open air seating for the interior dining room while leading to our lavish outdoor patio and lounge. With displays of endless large screen TVs and live entertainment on game days and weekends, Drunken Fish is the perfect place to see and be seen. We were not happy with any of our food selections. Sea Bass “worst I ever had” per my husband. Yoka Soba was very bland and the beef in it was not good. Would not order sushi here again, made me uneasy. We actually won’t be returning. The menu was very disappointing. They put eel sauce on so many rolls. We were looking for a sushi restaurant with that sushi restaurant kind of feel. This place felt like a sports bar. Service was good. They seemed quite understaffed. Didn’t get our drinks (even water) for 30 minutes. Everyone was very nice, but it was very slow, and the restaurant wasn’t super crowded. The food was good. Would probably try again, but not overly impressed. Well...my husband got beer spilled on top of him...and they didn’t even offer him a free beer or nothing... our server had no personality...she didn’t want to be there. We’re a pretty easy going group...pretty sad. The waiter was rude to me and my girlfriend. He did not believe our drivers licenses were real and harassed us. It ruined the rest of the meal and our 6 year anniversary. Excellent food, service and environment. This place never disappoints! Service was a little slow the night we went. As always the food was amazing!! We always enjoy the food! Our server AMY is the best! Great service, really delicious food. It was much quieter than the central west end location, which made it perfect for date night. Food was average and overpriced. $8 for a rum and pineapple should say it all. This is the best place for Sushi! Quiet place to enjoy with Friends and Family! We have eaten at this Drunken Fish before Cardinals games and had enjoyed the sushi and drinks. We were going downtown for a play at the Fox and decided to eat here. The construction in Ballpark village makes access a challenge. The restaurant wasn’t busy, but the most worrisome isssue was that the restaurant didn’t smell clean (not good for a sushi place). Even the floors outside the restrooms were sticky. We stayed and ate. The sushi was average to good, but we couldn’t get past the smell and lack of cleanliness. The staff was so friendly and kind for our visit. We greatly enjoyed our sushi and items from the walk. We will definitely visit again. Wait staff and food was great! My only complaint is in regards to the Happy Hour specials. I specifically and intentionally made my reservation during the Happy Hour timeframe. After arriving and when asking for the Happy Hour food menu, the waiter informed my party that the Happy Hour specials were not an option on days that events were scheduled at Busch Stadium. This is not reflected online, on the menu, nor anywhere in the restaurant. It is definitely false advertising. Server was obviously not in the mood to work. Having been a server for 10 years I don’t try to judge harshly but she was so unhelpful and inattentive. We had menu questions and she looked so annoyed and didn’t give us a clear discription. Ended up with raw salmon when I’m pregnant and can’t eat. The basic California roll was not chilled like it normally is. This was not the experience I had last time. I’ll be back one more time to hopefully get the 1st time experience. Our server was totally lost. Clueless. It wasn't even really that busy on a Friday night. Had to go find our own place settings. Didn't get our appetizer, which surprised our waitress. Took forever to get our Miso Soup. No wasabi dipping dishes, so used tops of the Miso Soup bowls instead like cave people (sarcasm). Did she ask if we wanted drink refills??? nope. The sushi was very good, as always. We've been to Drunken Fish many times and had decent service before. Not sure what's going on over there. Had reservations. Waited 10 minutes just for hostess to tell us waiter will be right with us. Moved to bar to be told couldn’t order because it was a 30 min wait. Not crowded at all. Happy Hour prices?? Would not want to have had to pay full price. Bar person seemed annoyed. Hope all was well with him. Won’t be back. Great food, good service. Came here during our visit for a Cardinal game. I had the Chilean sea bass and it was delicious. Food was very tasty, for both maki roll options and other dishes. It was before a Cardnials game, so very little crowd at the time we visited. 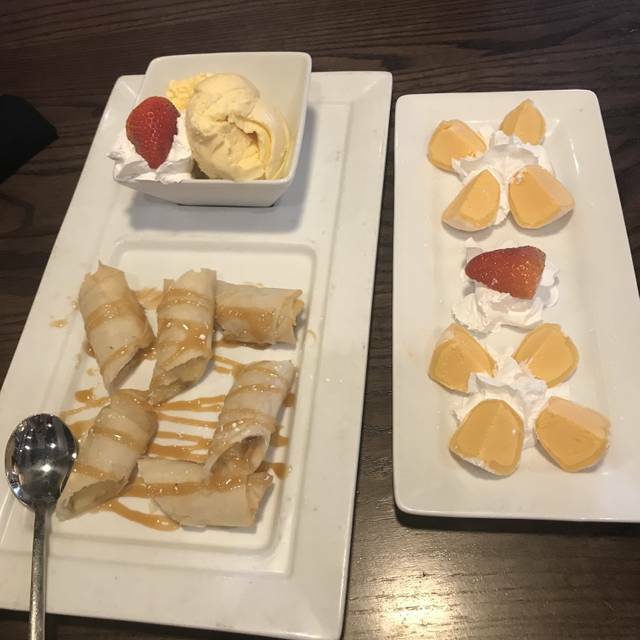 We love to dine at the drunken fish and our experience is ALWAYS wonderful! First time at Drunken Fish. Waitstaff very helpful with menu choices. Understaffed... Our server was good but overall service was poor. Food is midwest, weekly delivery freshness. They use Bigeye Tuna instead of Yellowfin which is a bonus. Waiter was somewhat rude—food was good but value wasn’t there. 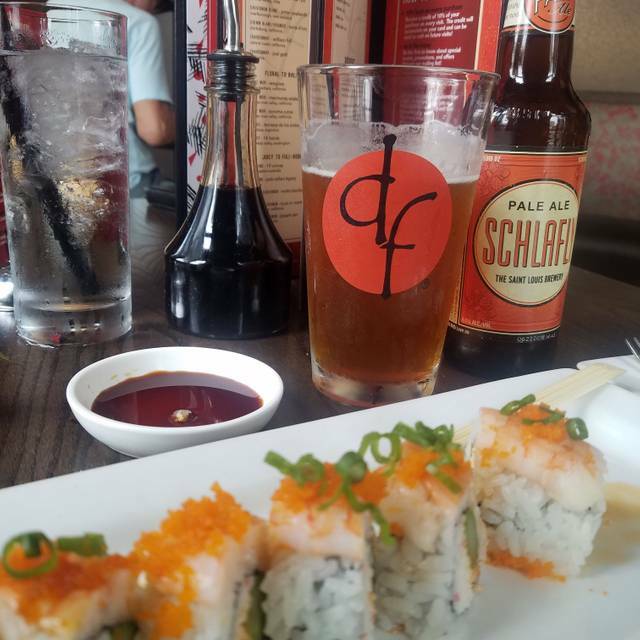 Drunken fish was a nice alternative to your typical pre ballgame meal. Great happy hour specials. Vast menu. Good ambience. My skewers were over cooked and dry my sticky potatoes were cold and limp. Waitress was not very attentive. People in my group liked their sushi but I was very disappointed in my meal. Our waitress was amazing but the food was expensive and terrible. My friend had food that was fried, then dipped in sauce; which resulted in soggy, salty food. It was her first time there and she will not be back. I was embarrassed bc I had highly recommended it to her. I also will not be back. Food was delish and our server was very friendly and helpful with any recommendations! Definitely would come back again. Sushi wasn’t fresh and air condition barely worked . Should have walked out when the restaurant was pretty empty on a Saturday night . Smoked salmon was good. Food in general was good. Ample seating despite pre-game, maybe Cardinals fans don’t like seafood. Postgame restaurant was empty too. Food was decent so if you want to get a good pregame meal, stop on by. I'm very disappointed, usually in these type of situations a manager would apologize. That wasn't even done and our server was in no hurry what so ever. It was our friends birthday and because of the slow service and no since of urgency we were an hour and 30 min late to his surprise party that people started to leave from because we were late. I would expect more from them but I was let down. His dessert even came out very last after I had asked for the check. I even noted on the reservation that it was a birthday dinner. I probably won't return.